Flexagon approaches defence from a new angle, bringing together elements of person-to-person defence and zonal defence. Flex is neither “man” nor “zone” – it’s a hybrid, with its own set of principles. In Ultimate, offence has the advantage, and gaining the upper hand on defence requires utilising a combination of athleticism, positioning, and teamwork. 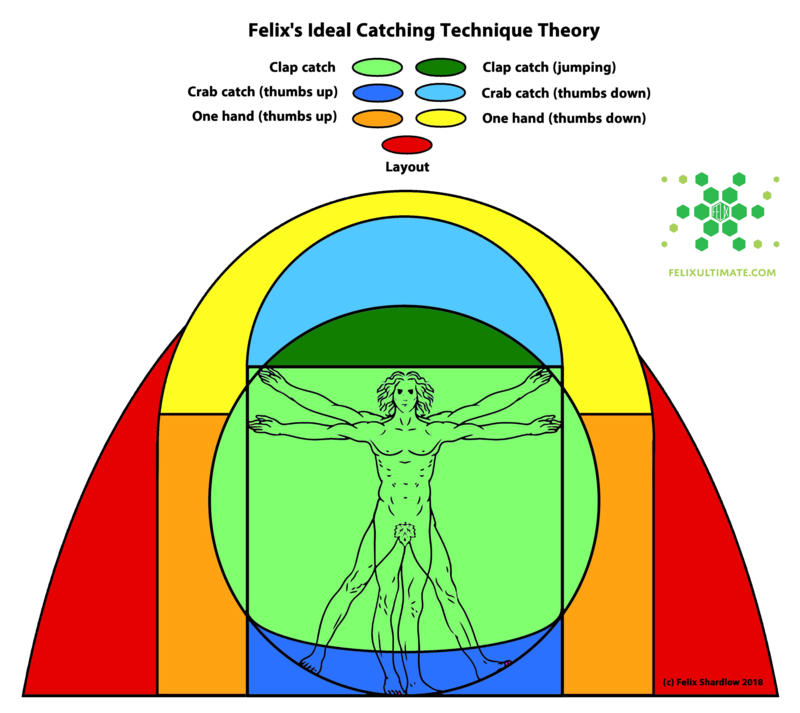 Person defence is weighted towards athleticism, zonal defence is weighted towards positioning, whilst Flexagon defence is weighted towards using teamwork to capitalise on any inefficient movement or positioning by the offence. Positions are highly flexible as they are largely dependant upon the position of the offensive players, however the underlying structure can be described as a 2-3-2. 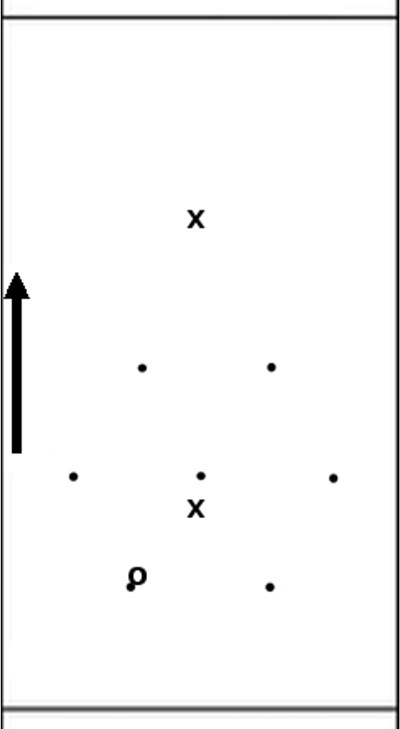 The terms “forward” and “back” refer to how you see the field when on the line before a point – “forwards” are comparable to “handler marks”, “backs” are comparable to “deeps”. Positions can and should switch during a possession – quite often it makes more sense for a defender to stick with their mark as they move across the field, rather than to switch – other defenders should adjust accordingly. 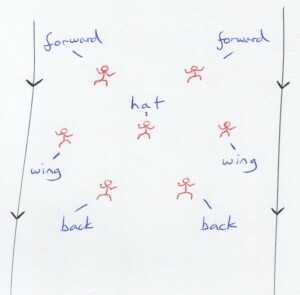 A defender may start as a ‘back’, then transition into the ‘hat’ position, and end up as a ‘forward’. Abiding by the principles makes these dynamic positional switches possible. If the offence sets up in a 3-4 formation, then the Flex will also resemble a 3-4 formation – more on this in Advanced Flex Part I: Counter-Strategies. The force – if the disc is near the middle then force towards the middle, if the disc is near the sideline then force towards the line – this leaves defenders on either shoulder of the force in both situations. It’s not always a ‘forward’ player that puts the force on – when the disc is near the line, it’s likely that a ‘wing’ will put the force on – depending on the position of the other offensive and defensive players. When offensive players are near to each other, they are inefficiently positioned, and the defence should look to punish this by surrounding (sandwiching) them – ensuring they are using the same number of defenders as there are offensive players. If the offensive players are spread out & utilising the space on the field, the defence is best positioned tighter to the players, and should not attempt to sandwich. When offensive players move towards each other, or towards defenders, they are moving inefficiently, and the defence should look to punish by switching their marks. This conserves energy, and creates an opportunity for a block as the defence is approaching from an unexpected angle. If the offensive players are moving to space, then the defenders should not attempt to switch marks.